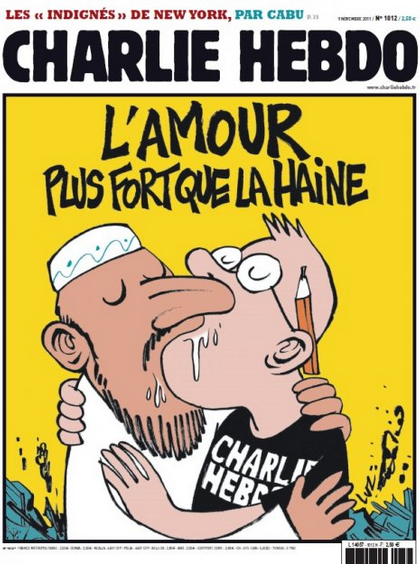 I wasn’t a reader of Charlie Hebdo, but I’m as shocked as anyone by yesterday’s terrorist attack on the offices of the satirical magazine in Paris, a premeditated shooting that left twelve dead. Like many of the people around the world who are responding to the attack with expressions of solidarity, I’m horrified by the concerted attempt to shut down free expression through intimidation and violence. Situations in the U. S. and France are not exactly comparable, of course. Still, it is striking that the attack on Charlie Hebdo happened on the same day that I read about Kirby Delauter, a Maryland politician who threatened to sue his local newspaper for using his name and likeness without authorization because it was publishing stories about him that he didn’t like. It’s a mindset revealed in the wake of last year’s massive Sony hacks and the subsequent withdrawal of the studio’s comedy The Interview (which depicts the fictional assassination of North Korean dictator Kim Jong-un) from wide release. There are still disagreements over whether North Korea was actually behind the cyberattack, but the fact remains that the authoritarian country was happy to take credit for it and that it is still a place where open criticism of the Dear Leader is grounds for imprisonment or execution. It is tragic that such words now form Charbonnier’s epitaph, but if they are remembered and taken seriously, we can learn from them. Those who attacked Charlie Hebdo believe they are sending a message, but the clear meaning is the opposite of what they intend: the answer to offensive speech is more and better speech, and participation in civil society, not bullets and intimidation. Perhaps that sounds naïve, and is easy to say from my relative safety in the U. S., but it is a principle worth standing by. 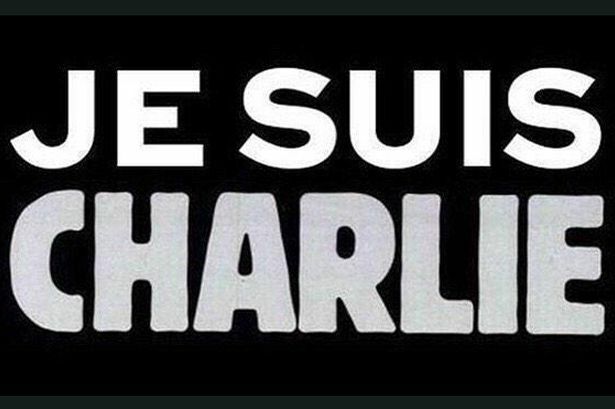 As one of Charlie Hebdo’s own headlines read, “Love is stronger than fear.” In the wake of these attacks, Nous sommes Charlie.